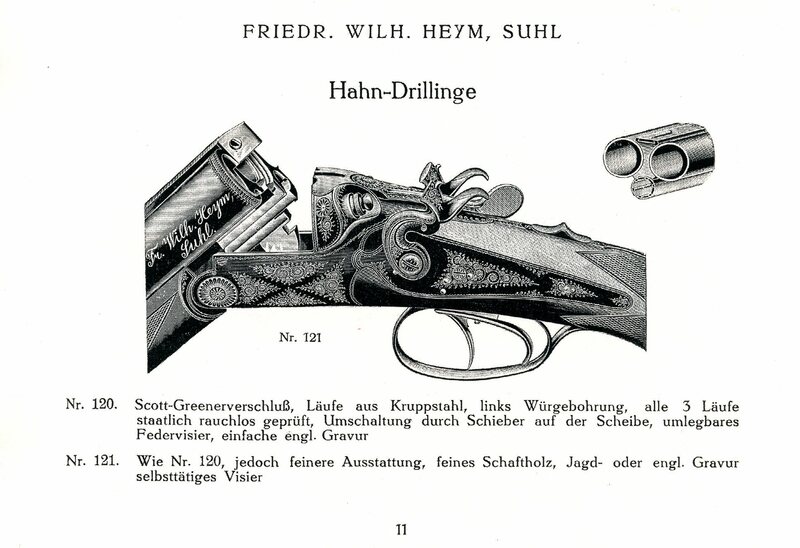 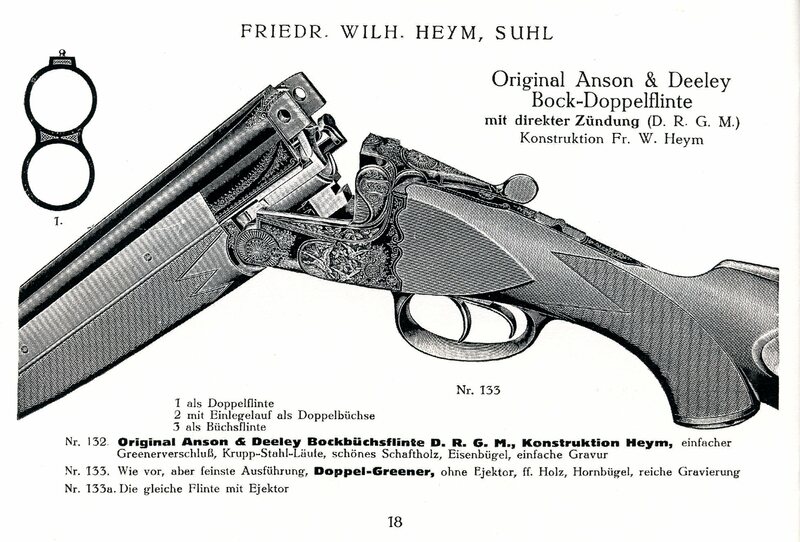 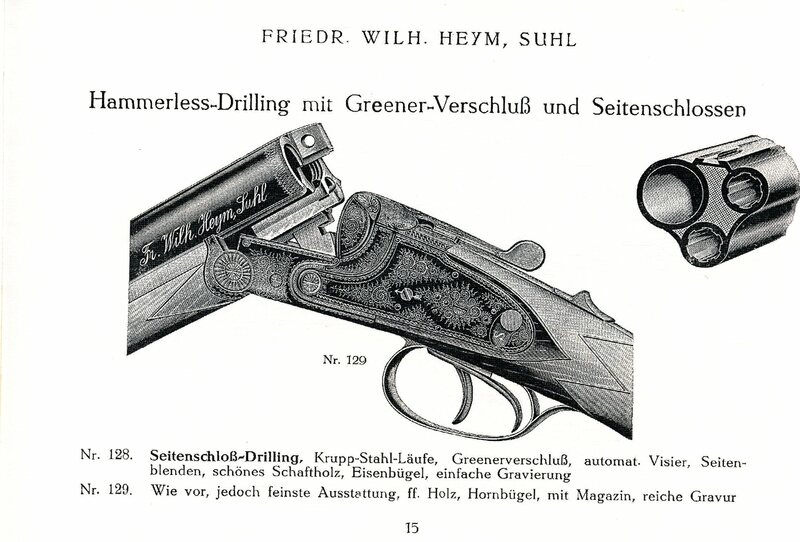 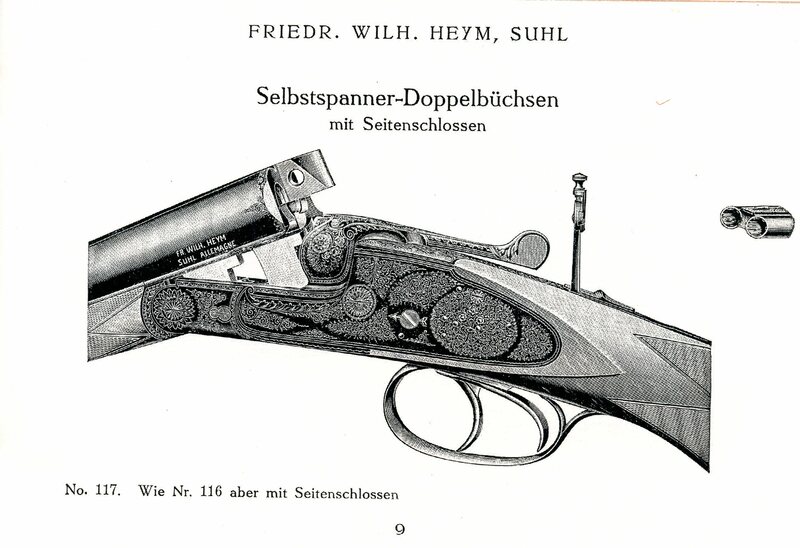 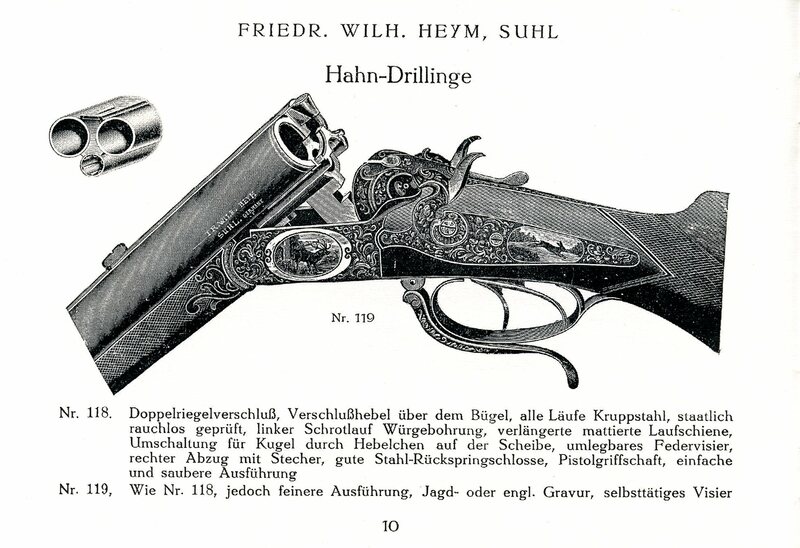 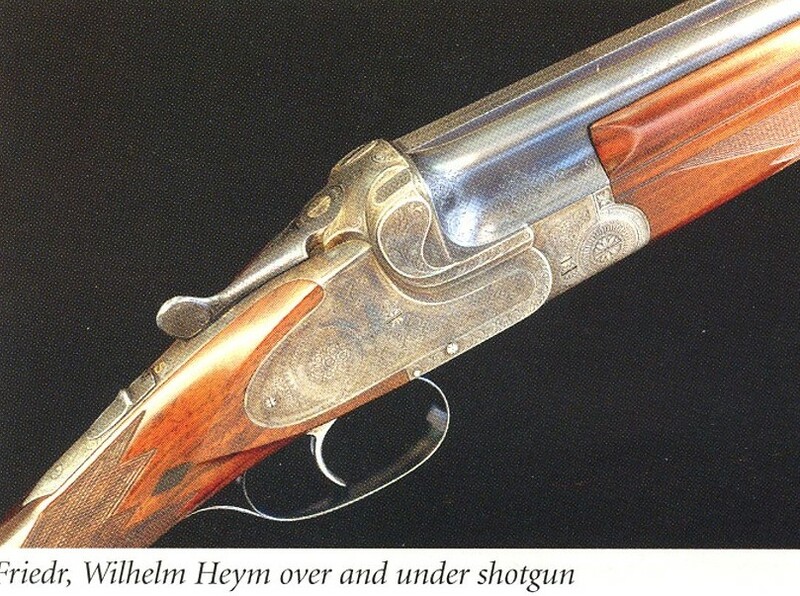 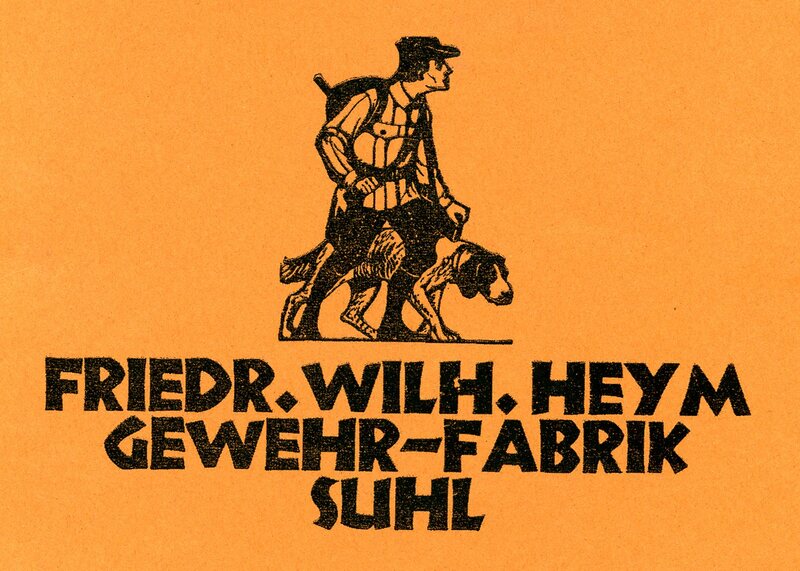 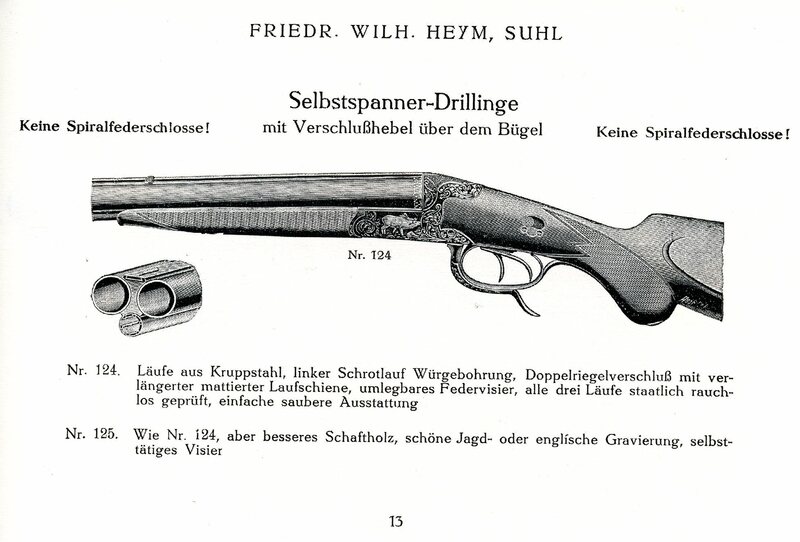 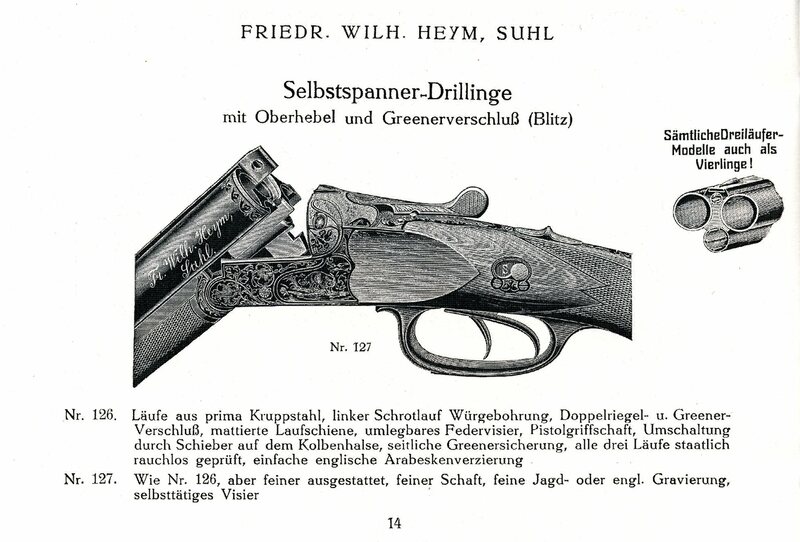 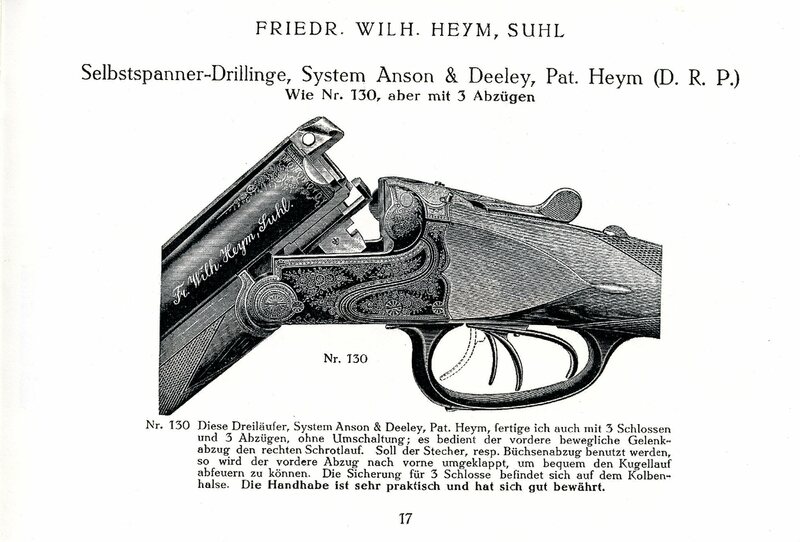 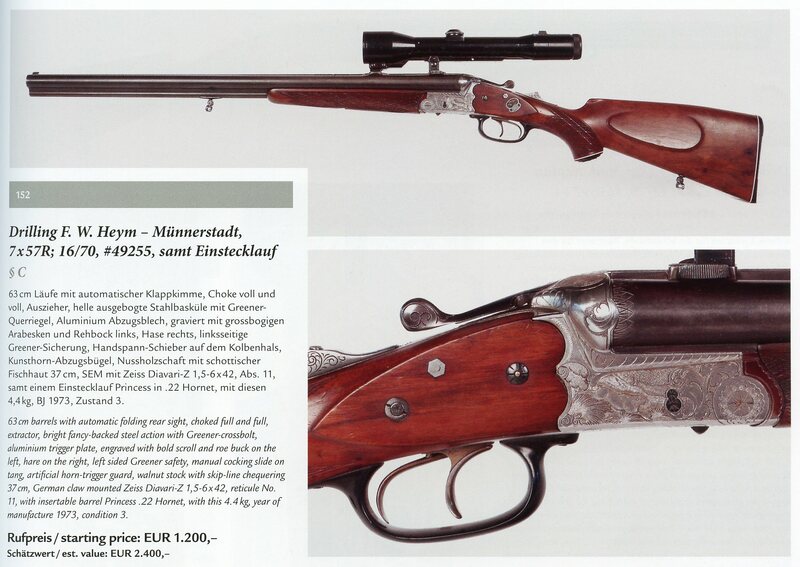 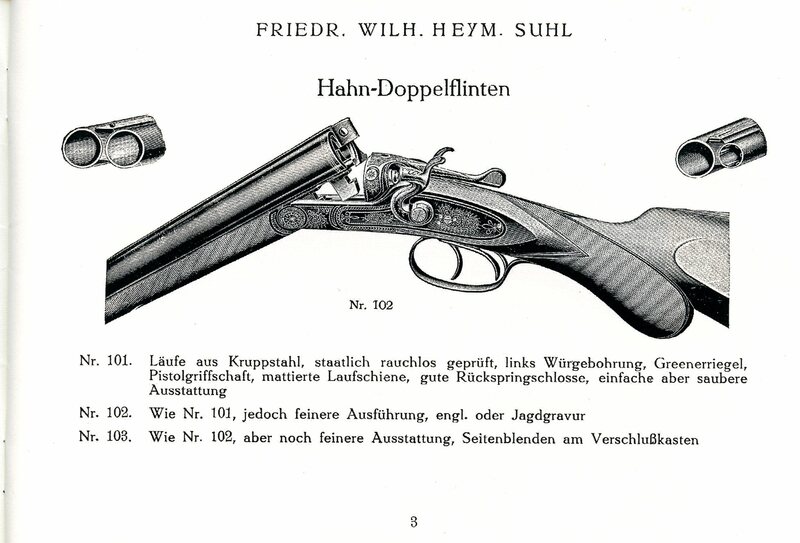 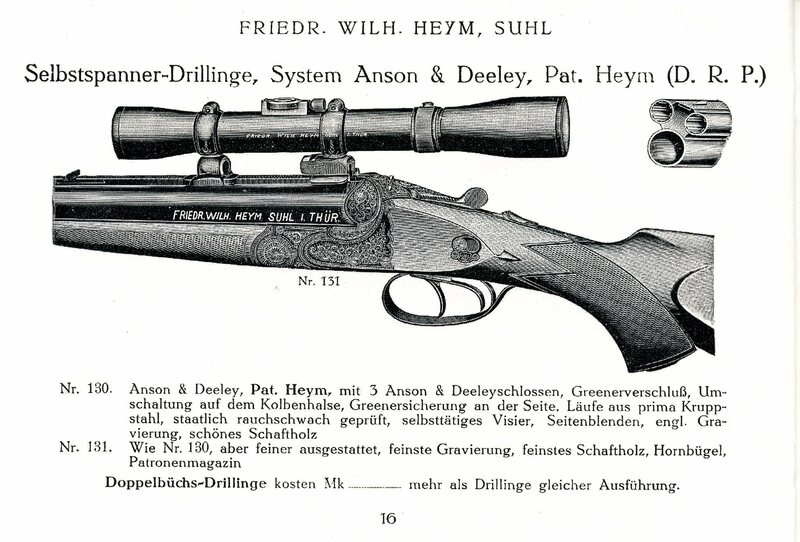 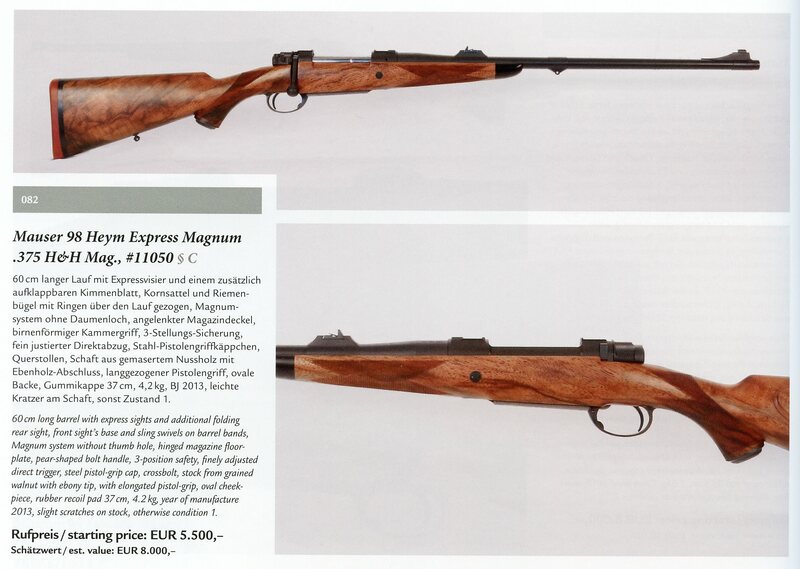 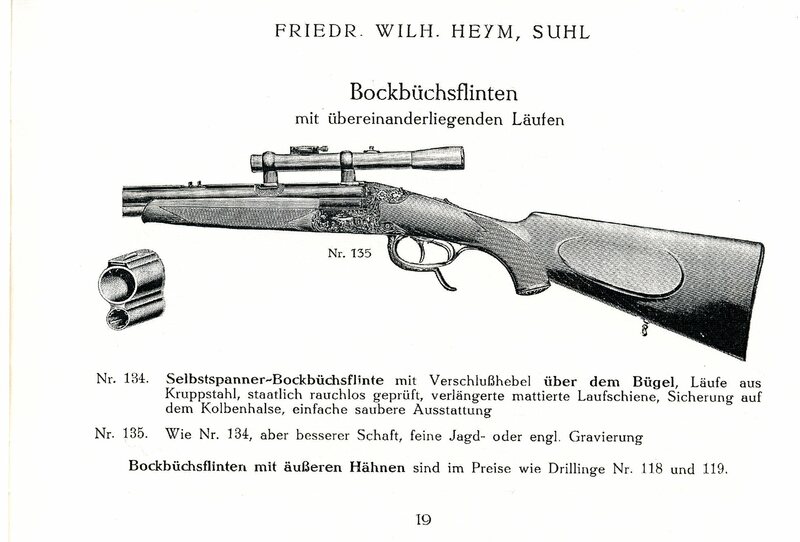 The German Gun Collectors Association has a 26 page “Friedrich Wilhelm Heym” catalog from the 1920’s available for purchase. 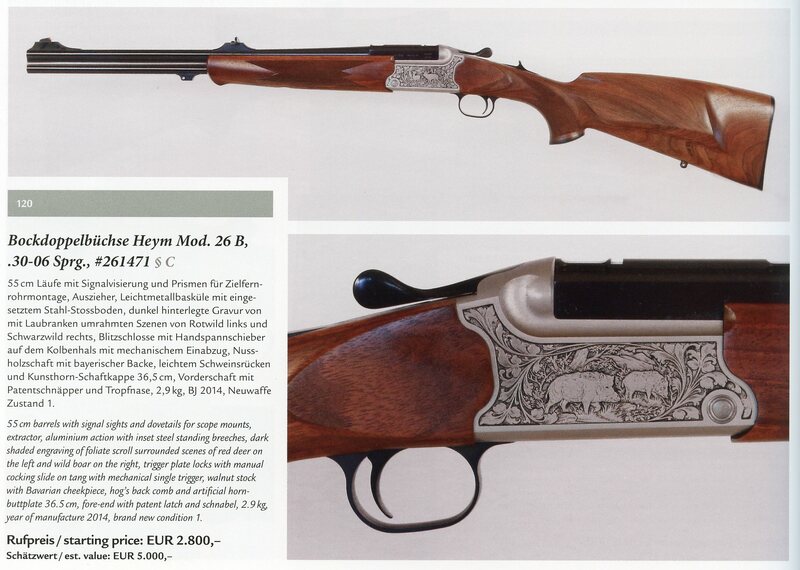 Click here to go to their site and to view their offerings. 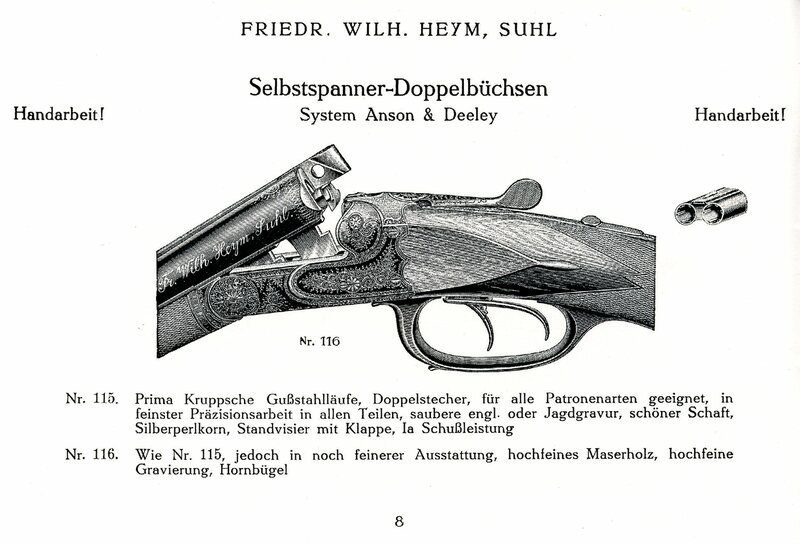 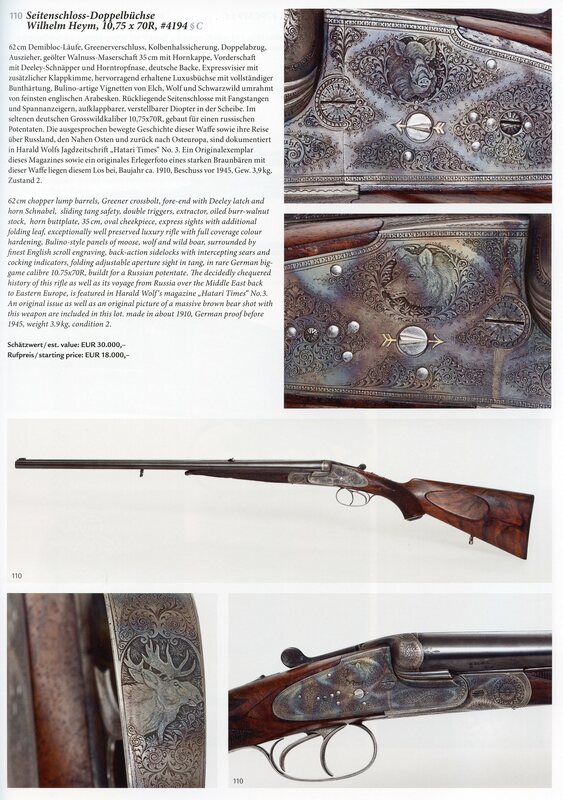 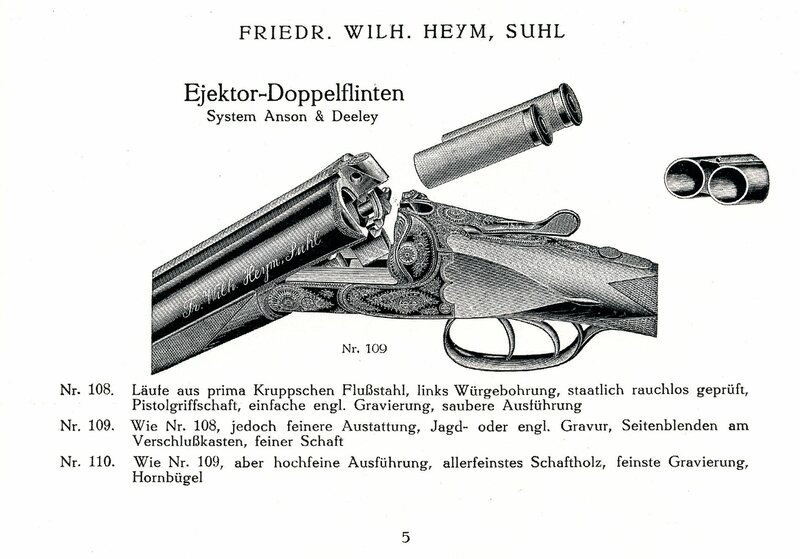 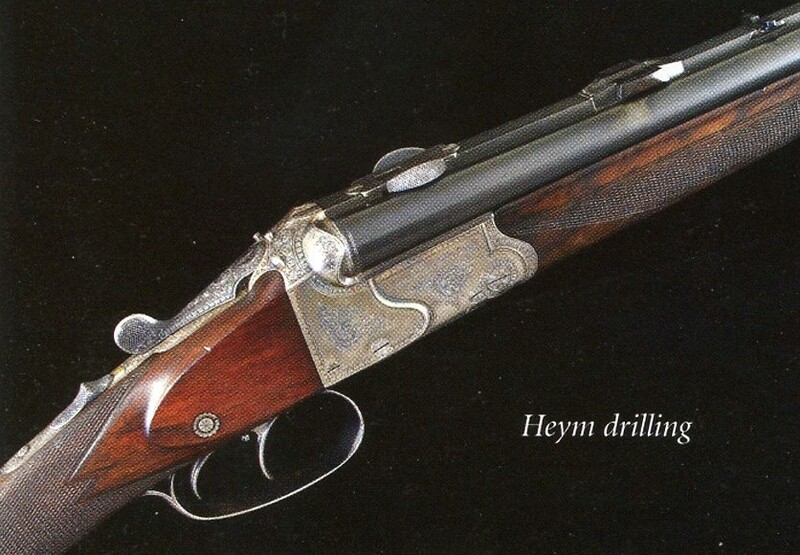 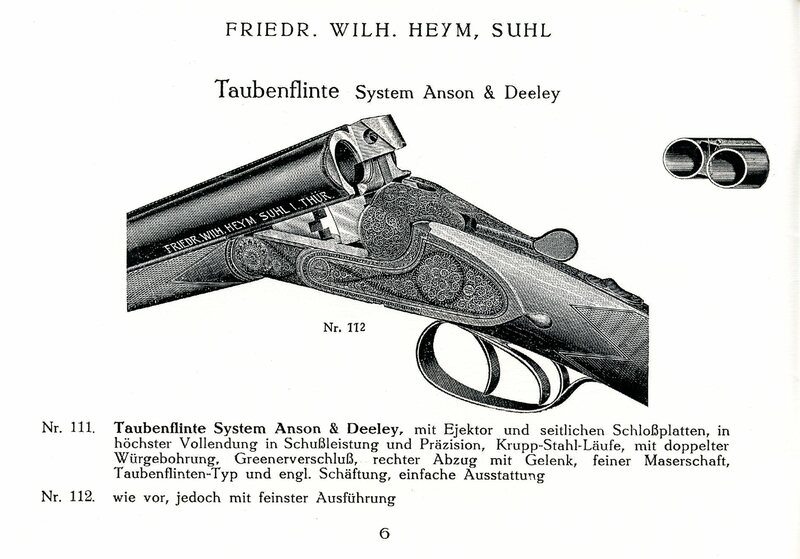 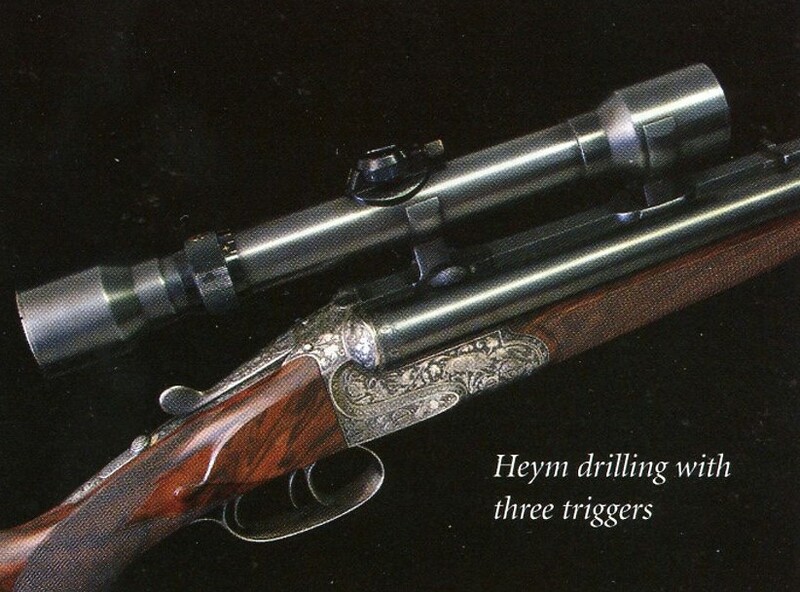 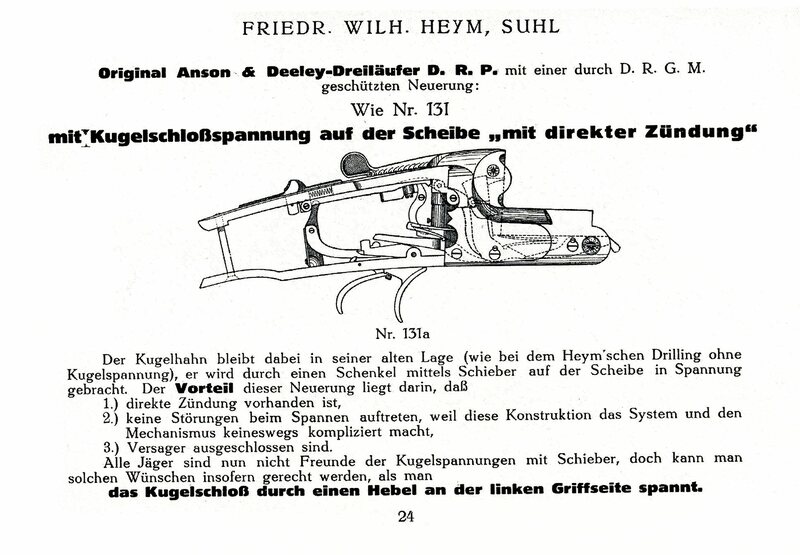 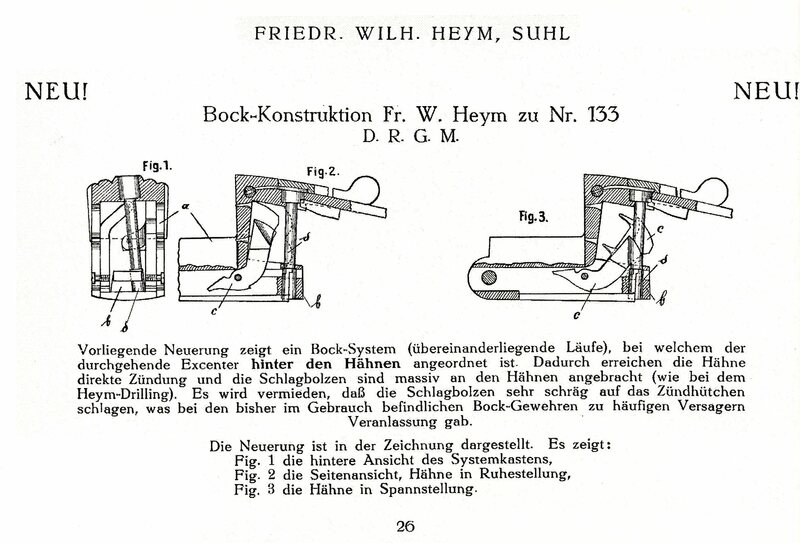 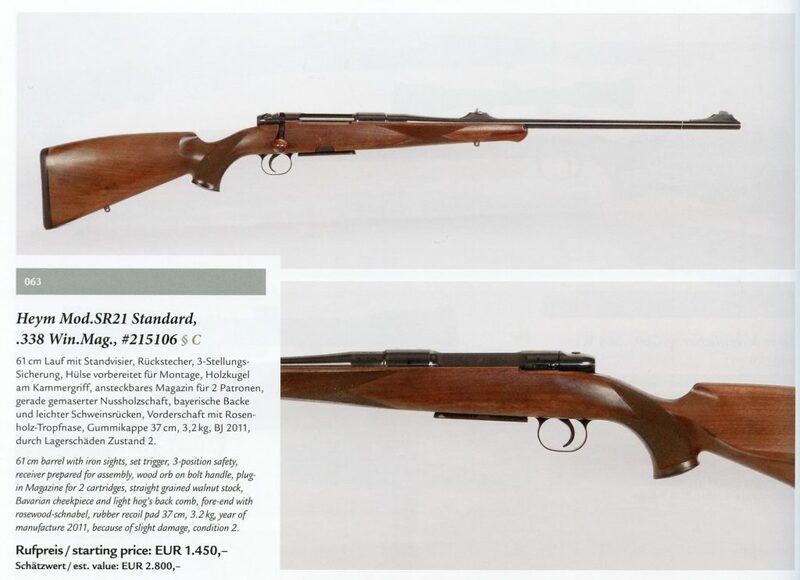 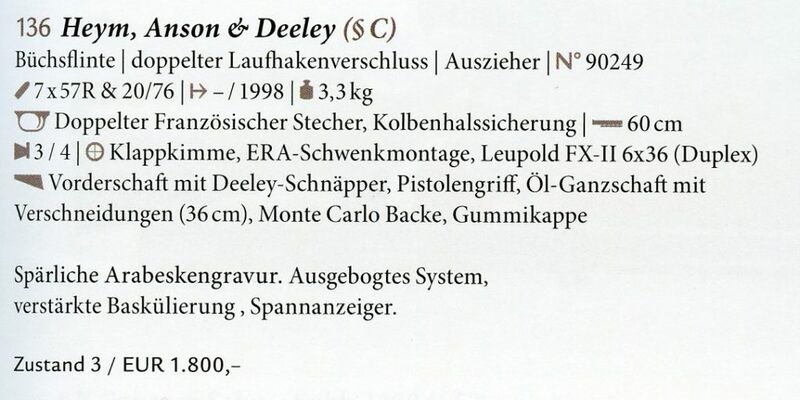 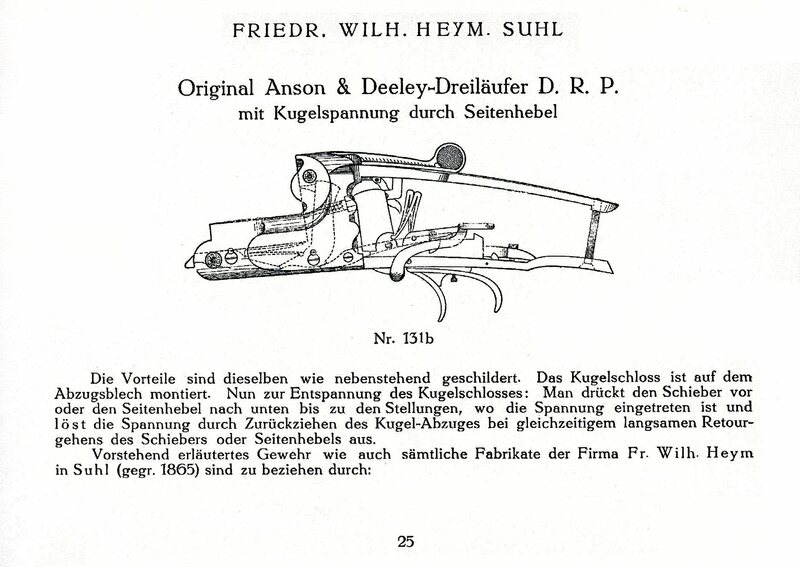 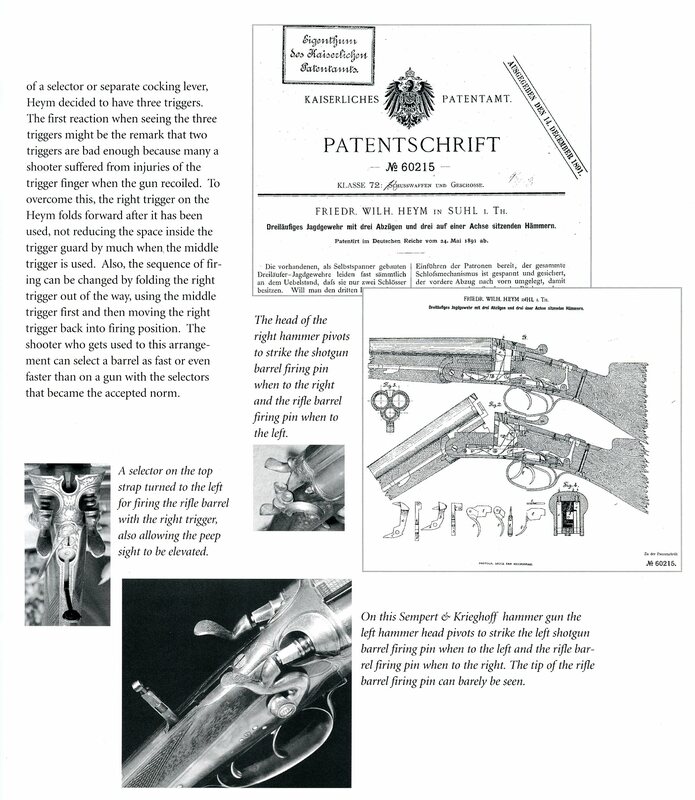 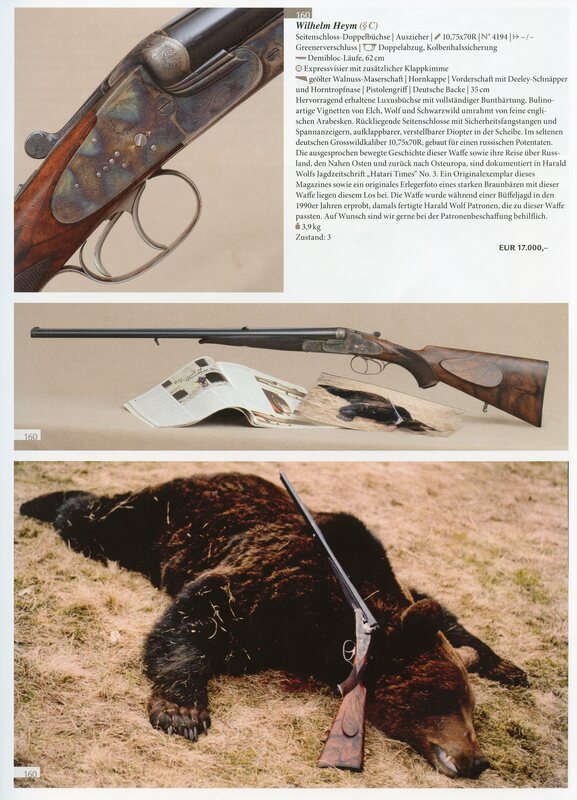 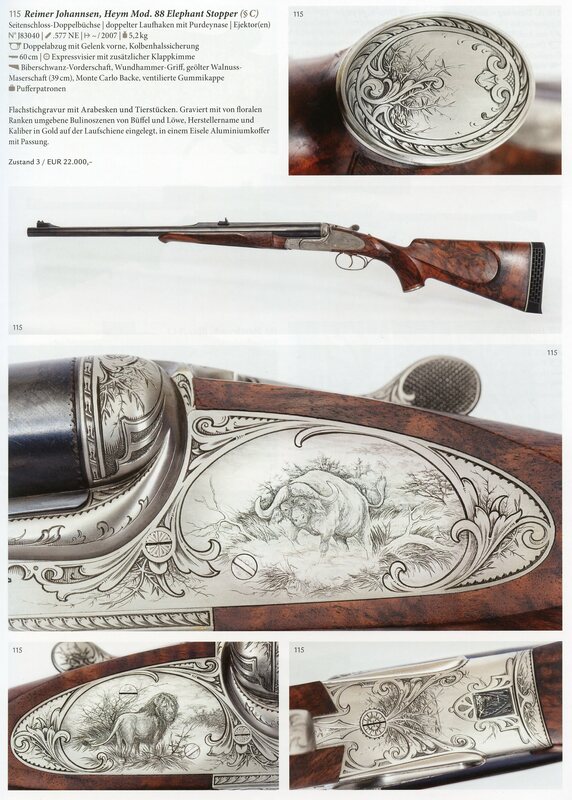 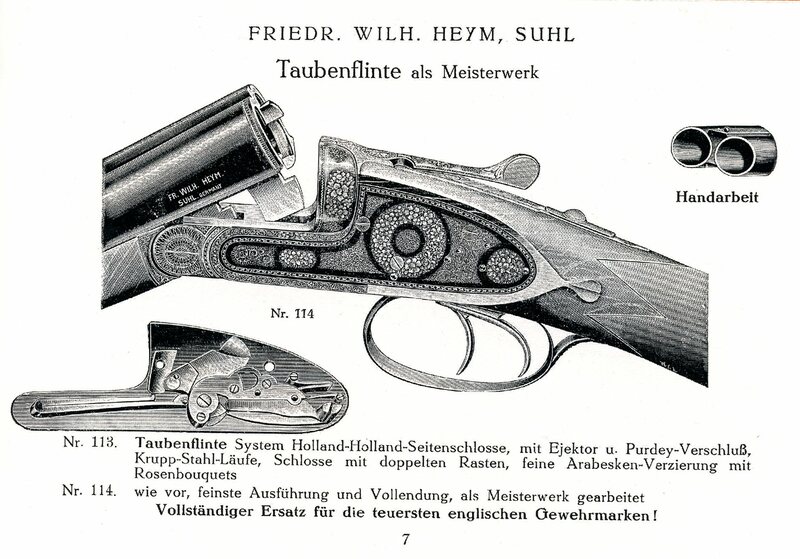 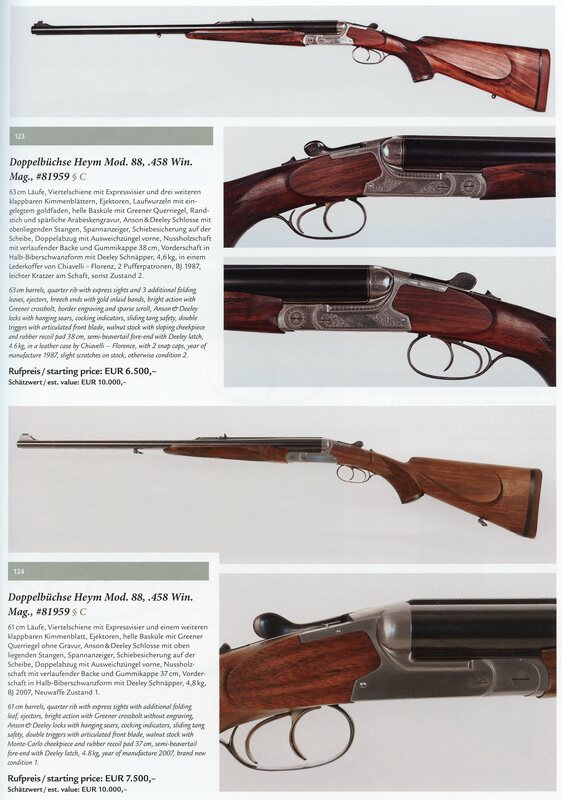 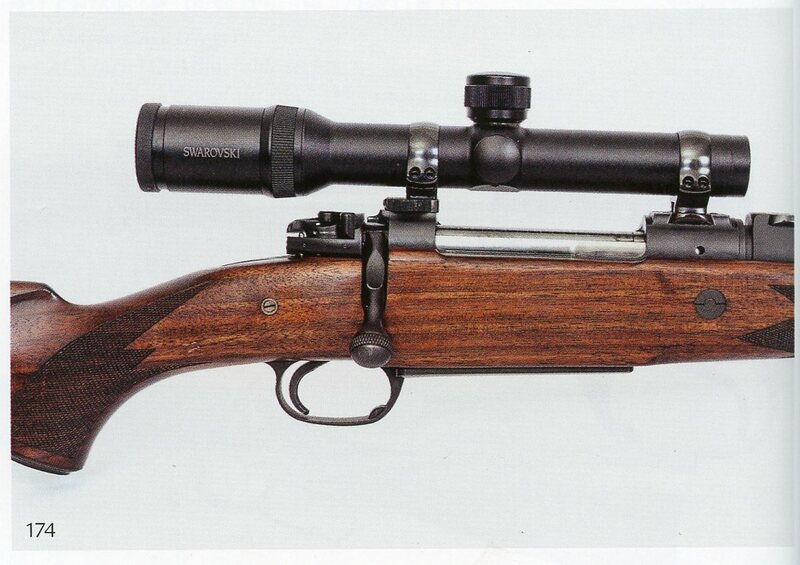 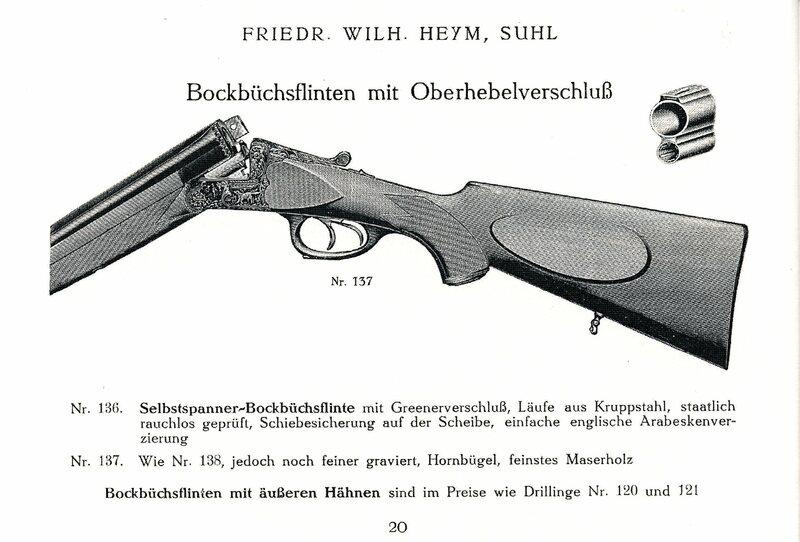 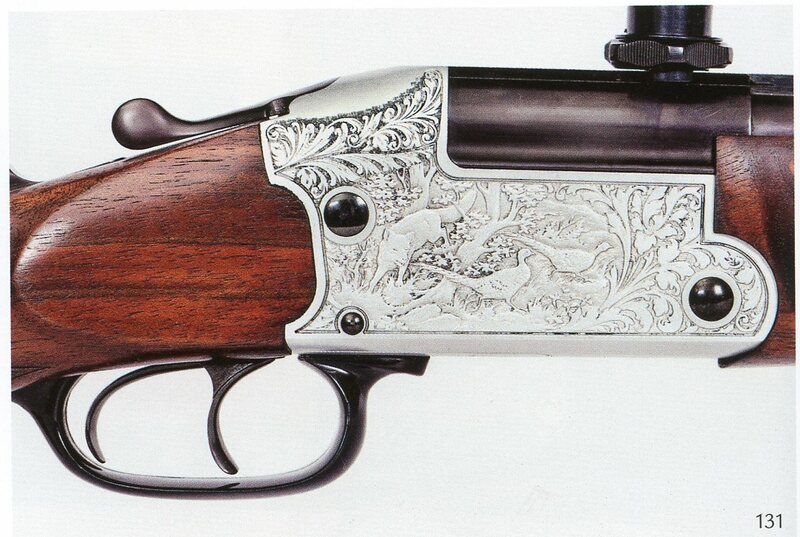 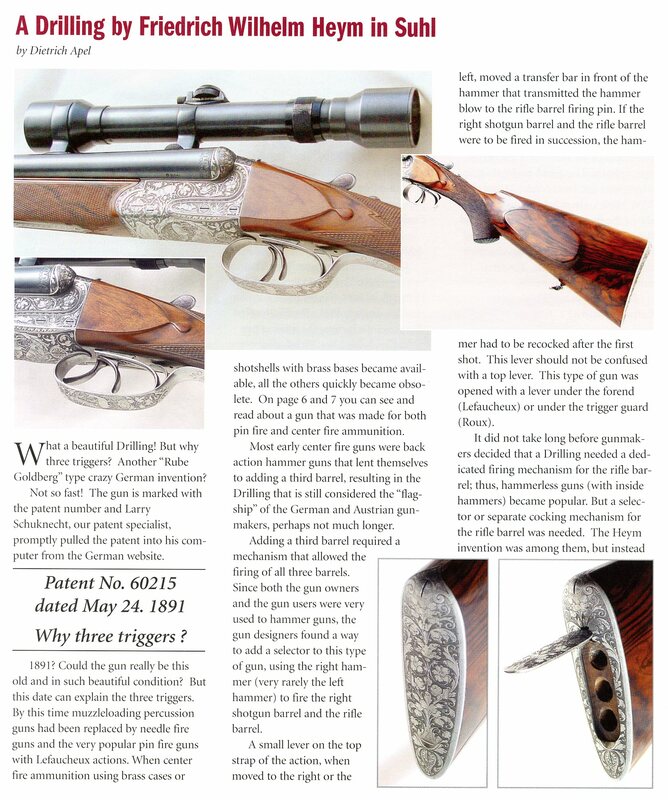 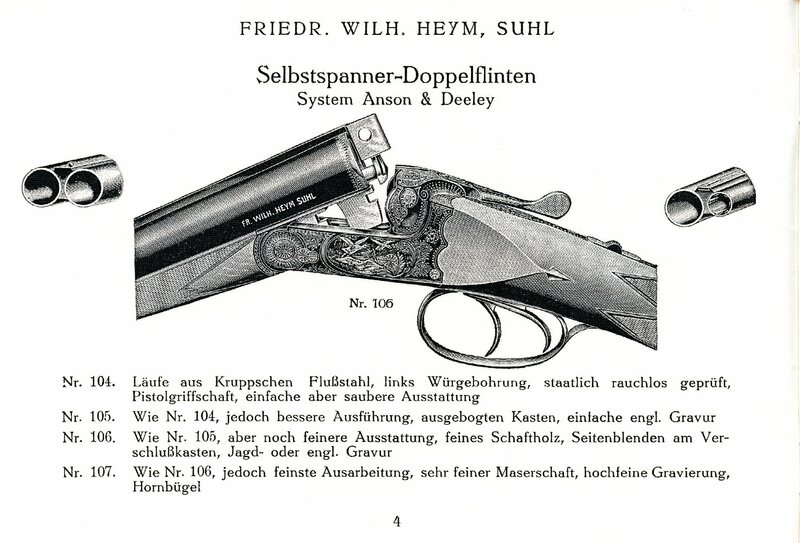 Below are selected pages from that Catalog showing the Heym patented design and some of the models of hunting guns offered.